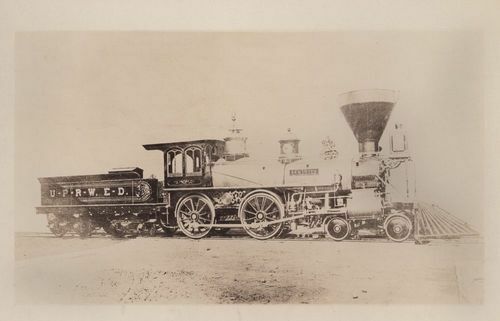 A photograph of the Union Pacific Eastern Division Railway's steam locomotive "Seminole". It was a 4-4-0 and built by Rogers in 1867. The "Seminole" had 16x22 inch cylinders, 54 inch driving wheels and weighed 62,000 pounds.